Built tough, built to last and built in New Zealand for over 30 years. 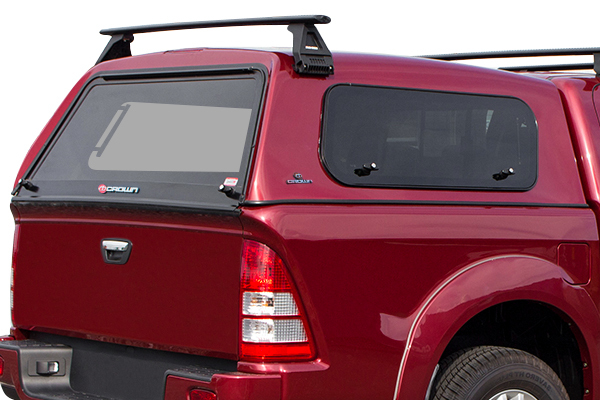 The long time favourite lift up window Crown Canopy is the original New Zealand Canopy. 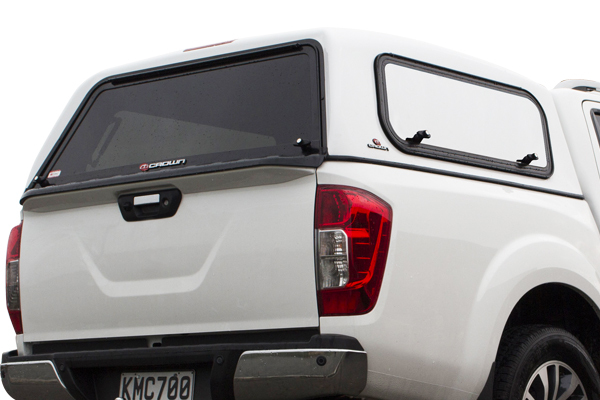 Ideal for just about every lifestyle, the lift up windows allow for quick and easy access to your tools or gear. 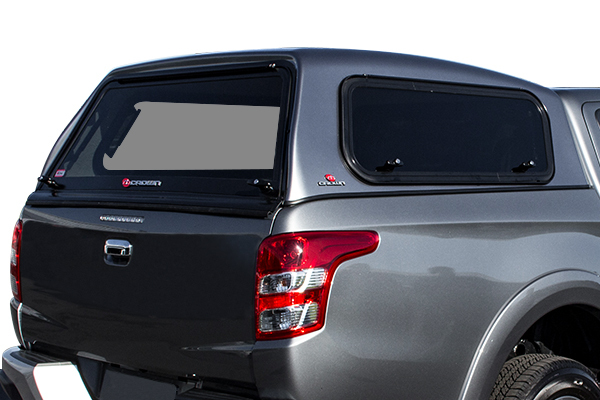 The ideal window option for pet owners, the Sliding Window Crown Canopy allows air flow into your canopy while your driving. 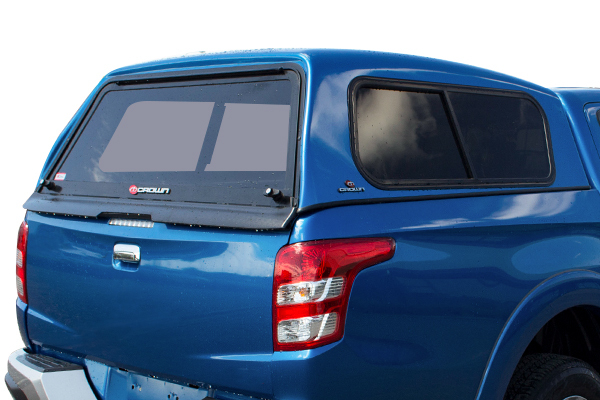 The Fixed Window Crown Canopy acts as a seamless storage extension of your vehicle. Providing a well-lit storage space, the Fixed Windows provide an abundant source of natural light to the space for a user that doesn't need side window access. 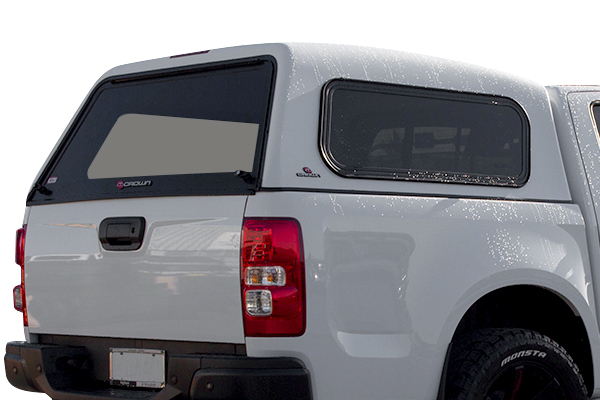 The sleek flush lift up window option is our popular flush window option. 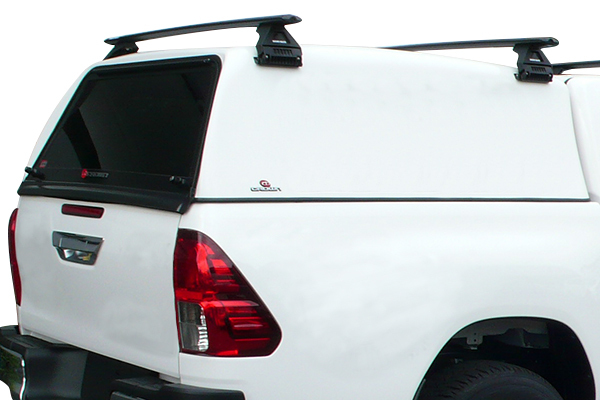 Providing you with the accessibility of a lift up window with the look and stlye of a professional accessory. The perfect window option for accessibility and security. The Security Window Crown Canopy uses a solid fibreglass cut out in the lift up window to keep your valuables out of sight and locked away. The Solid Side Crown Canopy offers complete security for your tools and gear. 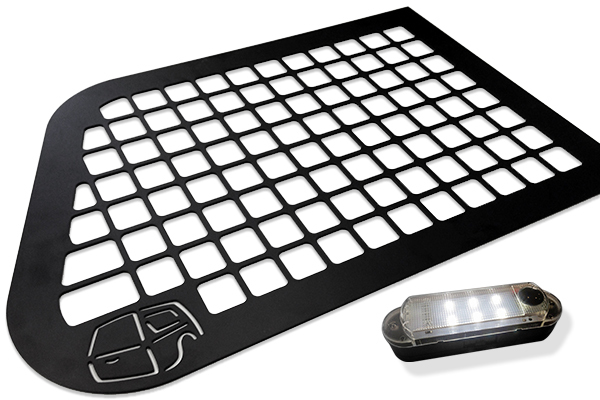 No pesky passers by will be able to glance into your tray and is ideal for storing your gear in a draw system. Crown Canopies can be equipped with a range of extra accessories that will make your canopy an extension of your vehicle and your lifestyle.